It’s natural that each individual who starts volunteering with School on Wheels has some apprehension about being a new tutor. While we know each person will positively impact our students, we also want to reassure our volunteers by answering some of the questions they have about the tutoring session or just working with kids in general. Our Tutor Tips blog series features questions asked by our new tutors and answered by our more experienced volunteers. This month’s question: Describe your first tutoring session. 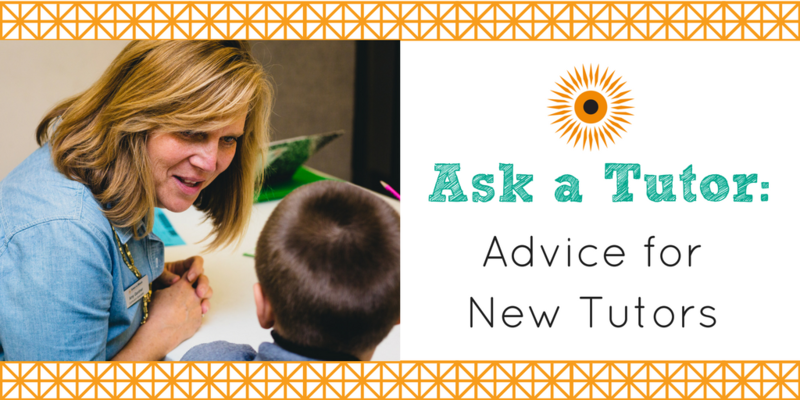 What advice would you give a new tutor on their first night? Before my first tutoring session with School on Wheels, I felt both anxious and excited to begin. I was nervous about how my first time would go — if I would be able to connect with the students, and if I would be able to adequately help on homework. Once the kids from the Barton Center came running into the room with smiles on their faces and giving big hugs to Ms. Ieva and the returning tutors, I knew instantly that Thursday nights were going to become my new favorite night. Over the past year, I have been able to get to know several of the students at the Barton Center and watch them achieve in many ways both academically and personally. My piece of advice to a new tutor would be to get excited for how much you will learn from the students. When I first signed up to be a tutor with School on Wheels, I thought that I would be the one doing most of the teaching. From my first night to now, I have learned first-hand from the students and their examples of kindness, determination, bravery, and humility. Being a tutor for School on Wheels has enriched my life in many ways as a young professional and community member of Indianapolis. I am excited to keep learning from School on Wheels and the incredible students that participate in the program. 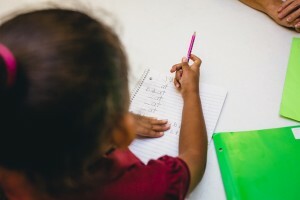 My first night of tutoring was not the picture-perfect experience I had imagined. I was eager to help the kids at Wheeler with their school work, but unfortunately my student was not eager to do his school work. As we got through the writing prompt and moved onto his homework, my student started to get frustrated and shut down. I tried to be encouraging and help him through his work, but he did not change his mind. We spent most of that night just trying to get him to do his homework. However, as the year went on, we had some really good days and some that were just like the first. My advice to first time tutors is to not feel like you have to be this perfect image of a tutor. Our role is to be the supportive voice and assisting hand to help these children stay committed to their education. There will be good days and there will be not so good days, but above all, our constant presence and support is what these kids need most can make the biggest difference. Thank you to Katelyn and James for your insightful advice. If you have a question that you’d like answered by our current tutors, please email it to our Volunteer Manager, Samantha or leave us a comment below! A staff member will answer all questions; the questions that are most frequently asked will be featured in the blog bi-monthly. For more tips, check out our other Tutor Tips blog posts!